The Dark Matter Series of eBooks is a FREE periodical collection of the most influential contributions to the darker side of genre fiction, compiled and edited by Peter Guy Blacklock. Most works could be said to fall under the wider genre of horror - including it's sub-genres & it's cross-overs - and, as such are geared toward largely adult tastes. They MAY contain themes and situations of a profane, violent, horrific or shocking nature. Dark Matter Vol, 1: the Weird Tales of H. P. Lovecraft. The first in a series of classic dark works from the pioneers of early genre fiction. 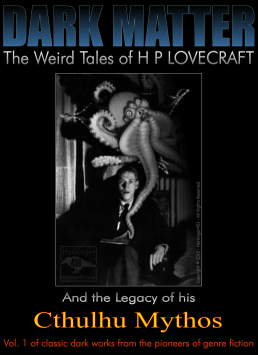 This volume features all of H. P. Lovecraft's creepy cultish fiction with a good spattering of his relevant essays, poetry, letters and his only sketch of Cthulhu. 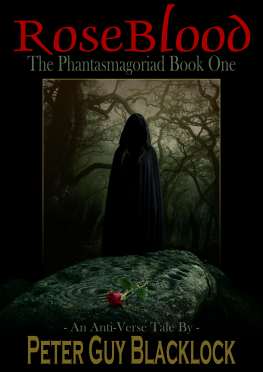 The eBook also looks at the legacy of his Cthulhu Mythos - an epic vision of a chaotic and dark universe filled with unspeakable horror. Click HERE for more information (and download soon). The Dark Matter Series of eBooks is published by the 451 ePublishing Haus.